Home → Blog → Real Water Sports and the Rawson ”SNIPER”: the mix of Impala and high performance design. Real Water Sports and the Rawson ”SNIPER”: the mix of Impala and high performance design. Trip Forman, owner of Real Water Sports and I have had had a project in mind for a new design called the Sniper since last October. The idea started at Surf Expo in September 014 and was about “marrying” the popular Impala design with a high performance design, making it a functional hybrid’s hybrid. 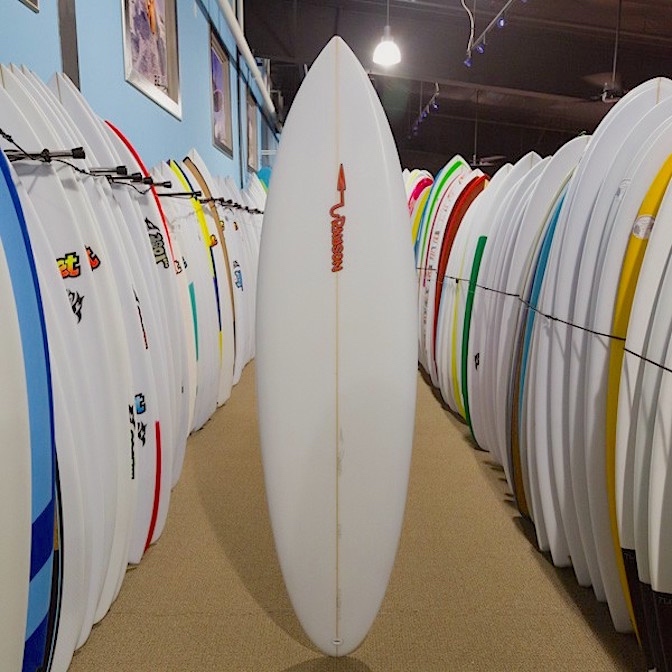 Real Water Sports, located on Rodanthe Island, Cape Hatteras is one of the largest surf shops on the East Coast and has a world class online business. I list the link below, as our story is best said by Trip in his board review he did. The new Sniper model is turning into a solid seller this Spring in Hawaii and elsewhere, and is either available as a clean Sniper 3+2 roundtail or Sniper SS 3+2 squash/swallow version as a step down type board.